President Michel Martelly of Haiti was chosen by the United States and has been maintained in power by the United Nations’ military occupation, which is called Minustah. 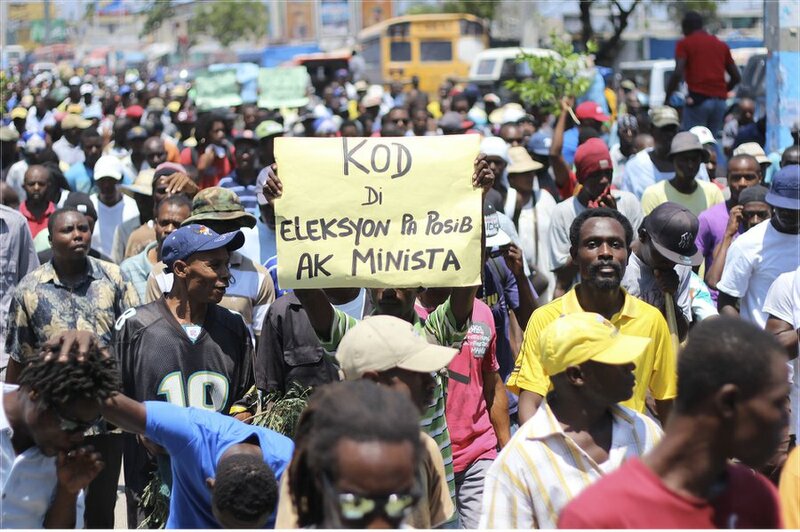 Thousands of people came out in Port-au-Prince on April 15 to say that the time has come for Martelly to turn in the keys to his office and leave. The day before, there were protests in front of the U.N.’s headquarters, and the day after, peasants on the Haitian island of Ile à Vache protested the government seizing their land for tourism. Thousands of Haitians leave the country every month, risking their lives at sea for the hope of a better future. Cholera, introduced to Haiti by Minustah, is still raging. More than 8,500 Haitians have died from it and over 690,000 have been sickened. This is not just a human tragedy; it is also a huge economic drain. Haiti has more cases of cholera than all of Africa, which has 100 times more people. Over 300,000 people in Port-au-Prince are still living in tents, a situation resulting from the earthquake four years ago, even though tens of billions of dollars of aid were offered to Haiti following that catastrophe. The protesters on April 15 tried to reach the ruins of the presidential palace — destroyed by the earthquake — but were driven back by squads of anti-riot cops firing live ammunition into the air and clouds of teargas. The Patriotic Movement of Democratic Opposition (MOPOD) and the Patriotic Force for the Respect of the Constitution (FOPARC) called the protest. Further demon­strations are scheduled for April 26 and in May.